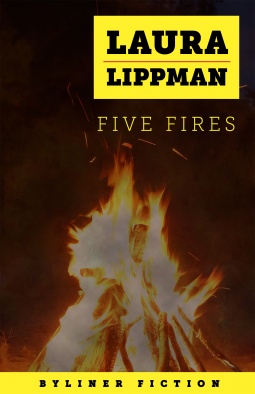 High-school student Beth, like everyone else in Belleville, has been following the fires – she has plenty of time between her monotonous day job at the deli and solitary nights at home while her mom works late. The fires aren’t the only unusual occurrence – Beth’s old friend Tara, who left town the year before after a scandal, returns with no real explanation. Circumstances only get stranger when Beth unwittingly discovers clues as to what – or who – is the cause of the fires. What I Say....I love Laura Lippman, so I was happy to get an ARC of this novella. The thing was I didn't realize it was a novella, so I was pretty disappointed when it came to such a quick end. I've often wondered about the people who you see in People magazine defending their town's accused rapists, what makes them so willing to defend someone in print. In this short story, you get to see the fallout of that defense. What is really sad is that the people who shouldn't have gotten away with their crime are the only one who escape unscathed. This was a great short story - I just wish it had been a full length novel.